I like the Flying Dutchman Block because it is so easy to assemble. This block makes up to a 12 1/2” finshed block. 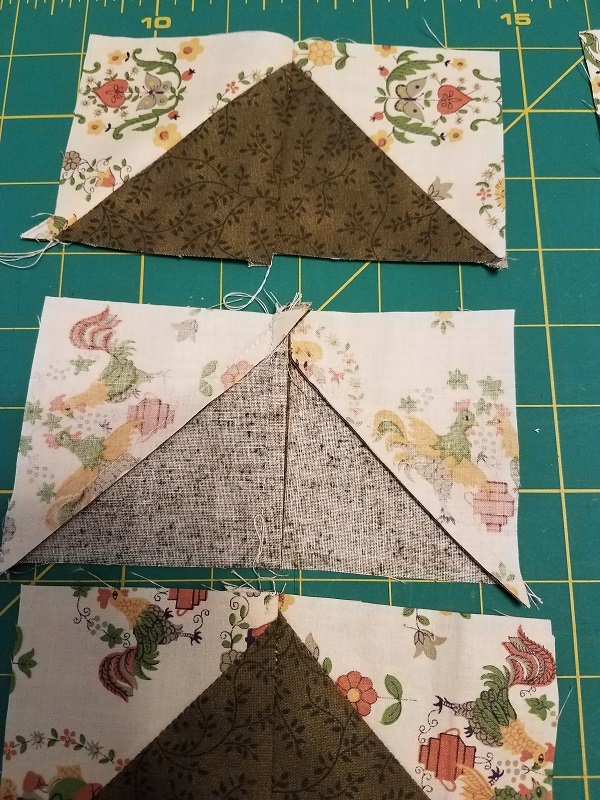 Having 1/4" seams left for piecing the blocks together. 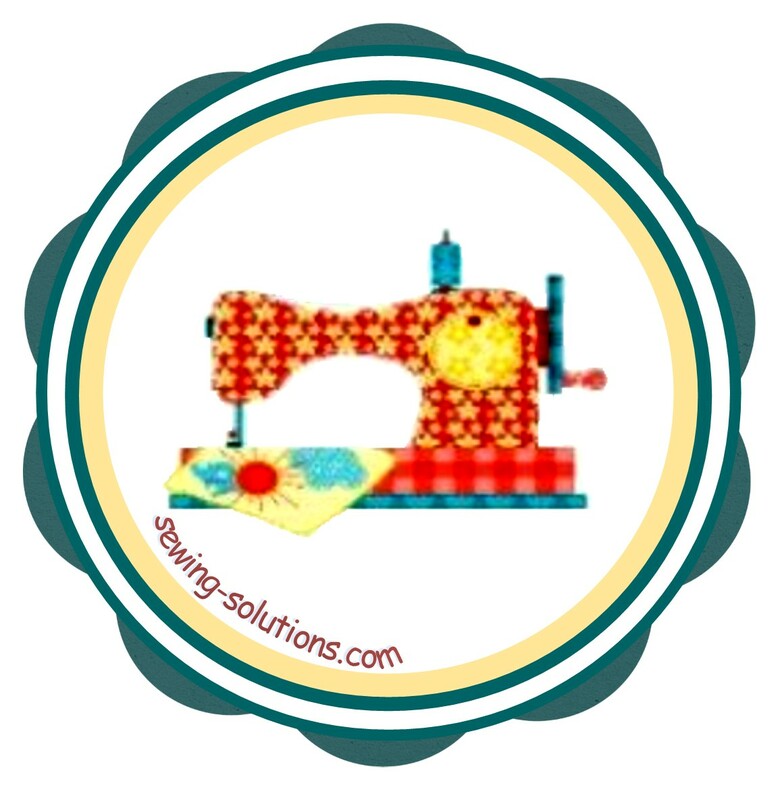 I will show you a great an easy technique in cutting and sewing. 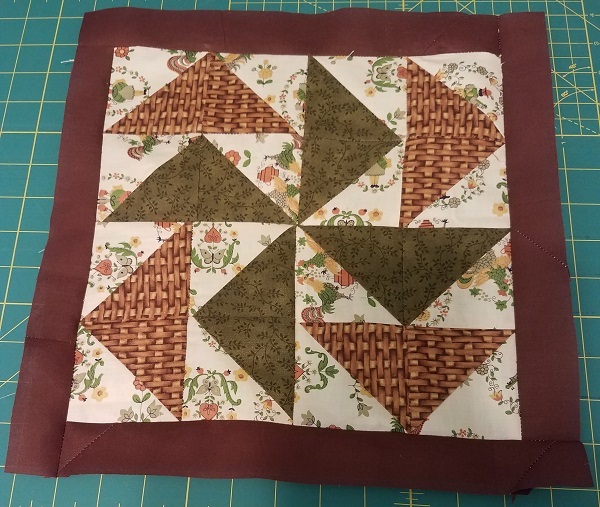 This block uses the old flying geese pattern in a new way. Step by step instructions and photos follow. Cut 1 contrasting fabric 7x7"
Cut another 1 contrasting fabric 7x7"
With fabric placed right sides facing, mark a straight, line diagonally corner to corner. Can you see the lines I drew from corner to corner? You can use any marker as this will not show. They will become cutting lines. 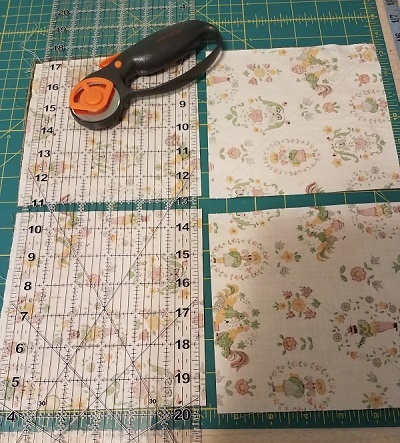 Now stitch 1/4” on both sides of both lines you just drew. 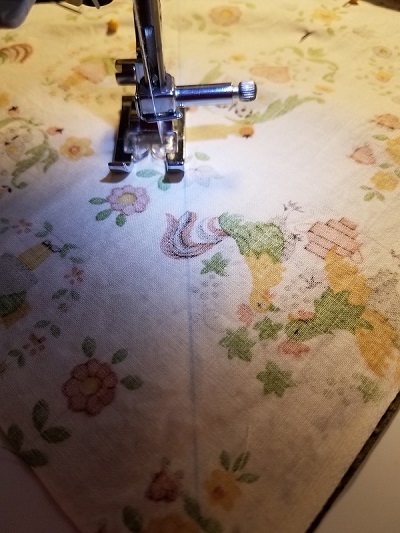 Line presser foot up with the center line and sew corner to corner on right side of line to the end. Turn and line up foot and and sew down the other side of line. Do this on both lines, corner to corner. As you can see in the picture to the right, I drew two lines. From corner to corner. 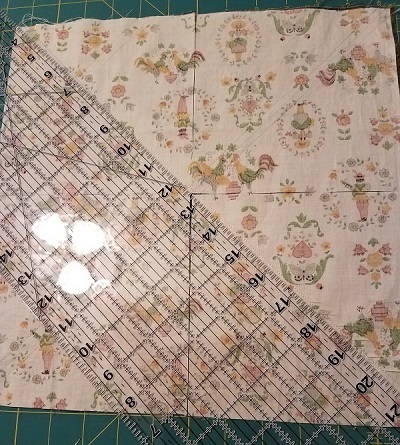 Then I stitched 1/4" on each side of both lines. 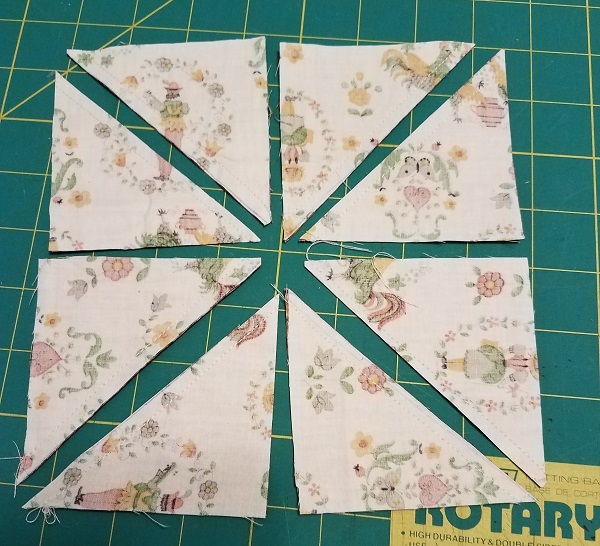 Cut will be 3 ½” or center of block. Turn and do the same going across the center of block. 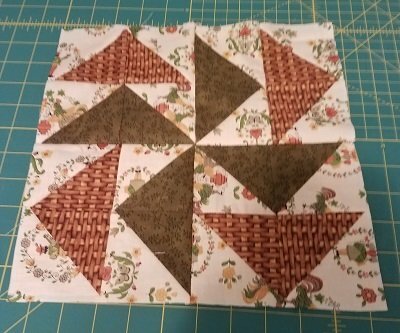 Cut from top to bottom in center of block. 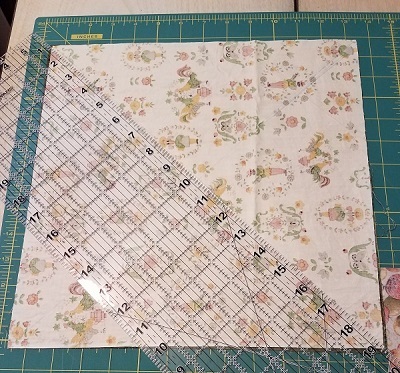 Keep squares together and cut “on lines” between stitched seams. 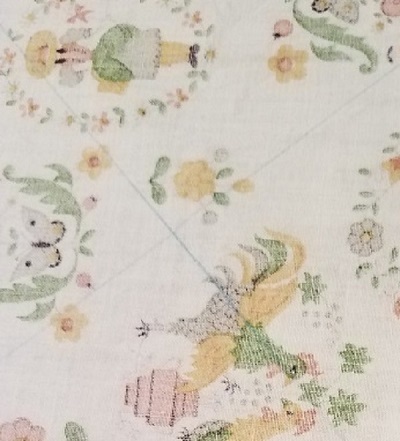 Cut right on lines you drew between the stitching. Do the same with to other 7x7 inch piece you have. 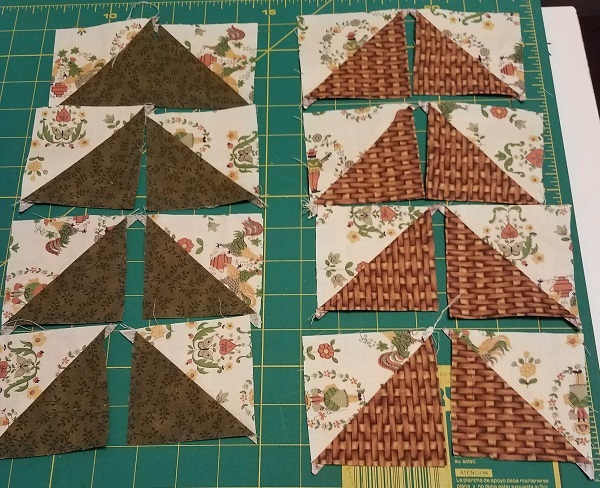 After sewing and cutting both beginning 7x7 squares, you should now have 16 triangles. Press open, with seam facing the dark side. 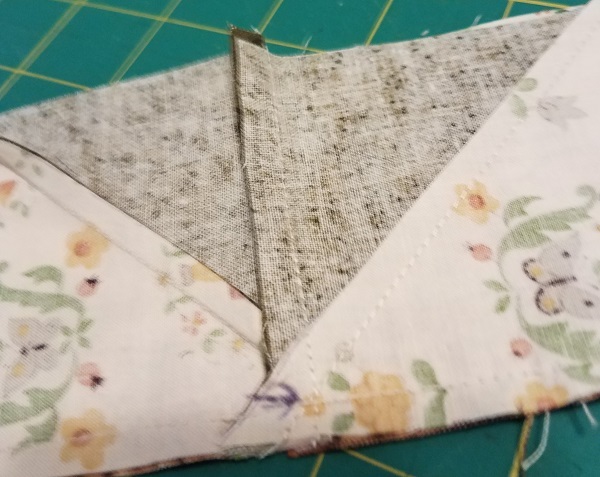 Pressing always make the stitching easier to match. NOTE: Pressing the seams is very important because this helps to make things fit together better. 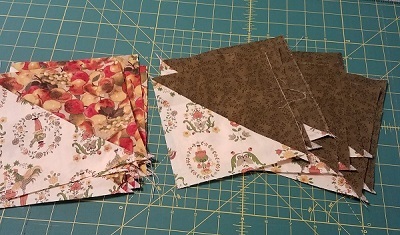 You will now sew together 2 squares, dark to dark as shown. 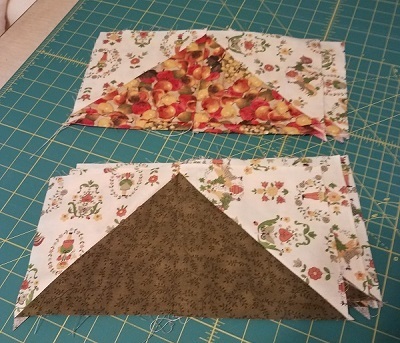 Sew blocks together, Always keeping the same block on the bottom. As you can see, I kept the dark on the bottom. See where the arrow is pointing? 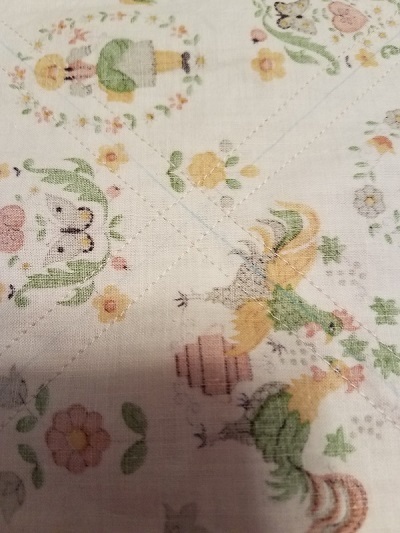 (Left picture) (Right picture has a pen pointig at the same spot) It is at the spot where the two seams cross. 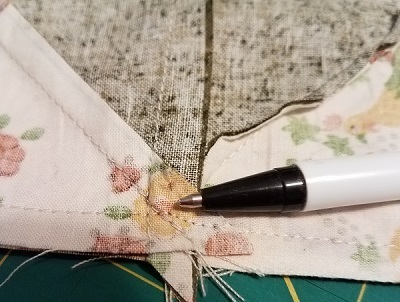 If you stitch just below the seams crossing, you will always have your points showing. The picture with the pen is showing the same area. But if you look close you will see the seams crossing and my last seam run just below the crossing point. You will not lose you point. This is how I laid out this block. Stitch top two blocks together, right sides facing each other, than the bottom two. 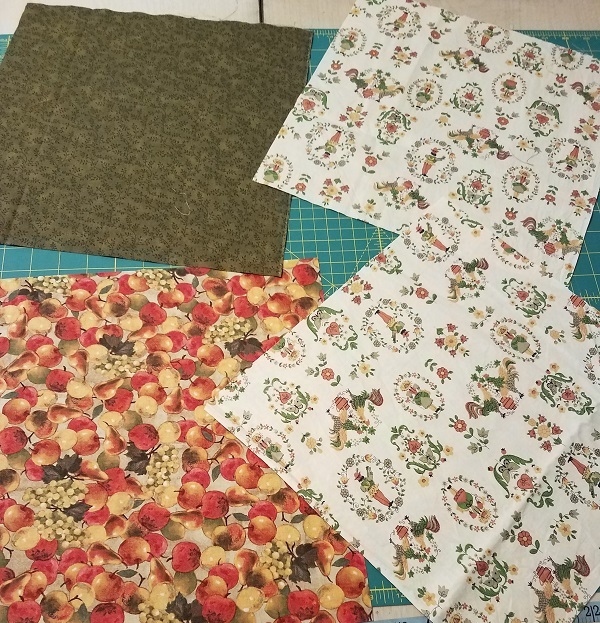 Now sew the top and bottom pieces together. 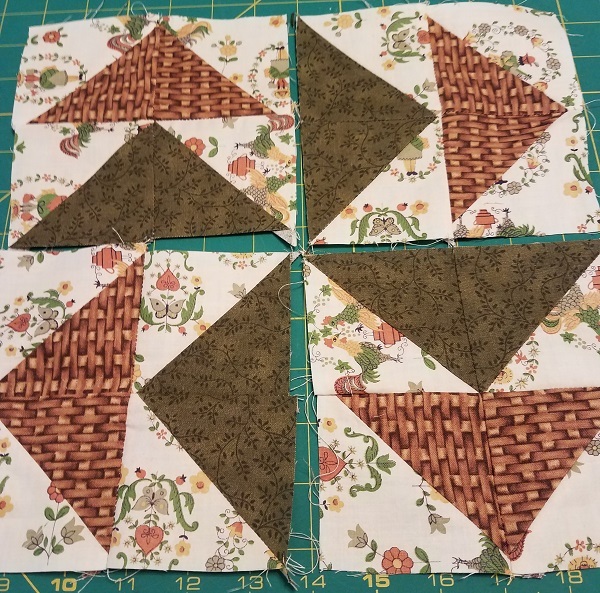 On the right block, I added 1 1/2” strips to this next block.